Happy Chinese New Year 2014! 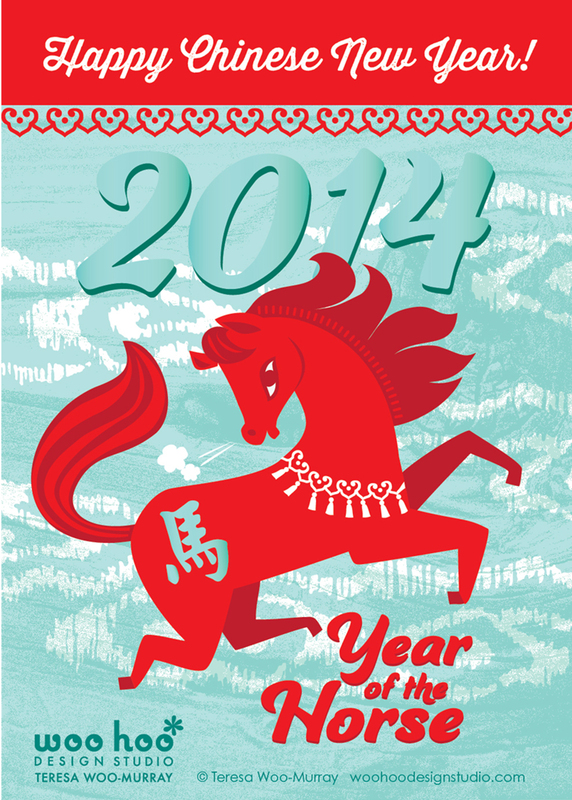 Wishing you joy, peace, hope and prosperity in the auspicious Year Of The Horse. I hope you will surmount the challenges you face and enjoy the successes you’ve worked for and earned! Every Chinese New Year, I enjoy coming up with an illustration to celebrate the particular animal that is represented in that year by the Chinese Zodiac. While I’m not an expert on Chinese Astrology, I like to think that creating this annual illustration makes me feel that I’m a little connected to my Chinese Heritage, in spite of being a 6th generation Chinese American! Sometimes it’s very difficult to draw certain animals I might not be so fond of and is for me a challenge to find the beauty that nature created. 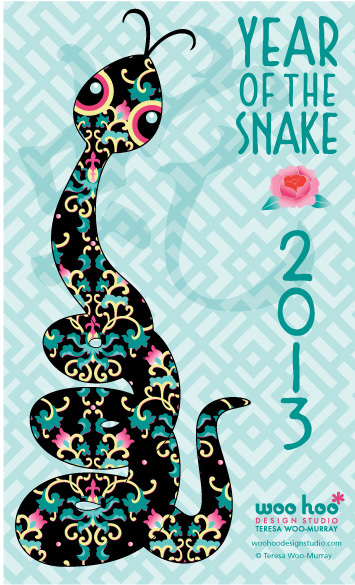 For instance, last year the 2013 animal was the Snake. My snake illustration surprised me because it came out beautifully, I thought. Here is last years Chinese New Year greeting. If you’d like to learn more about Chinese Astrology you can click here or do an online search where there is a plethora of information on the subject!